Glass and chrome TV Stand or could be a computer stand. Bottom shelf. smaller shelf above and a space to the right for something taller. 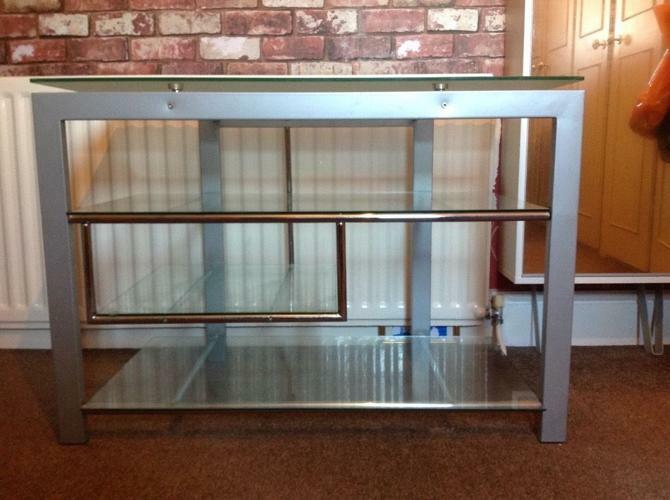 One shelf above and then a glass top. 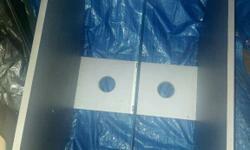 Can arrange local delivery to the door for diesel costs. 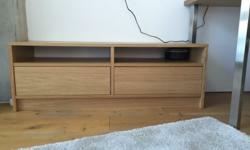 Oak IKEA tv stand. 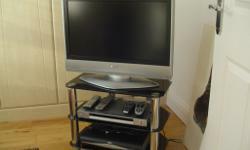 Great condition - need to sell as no longer have TV. 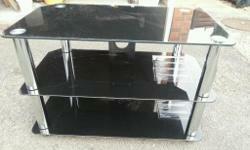 CHROME TV STAND WIH 3 GLASS SHELVES. IMMACULATE CONDITION. 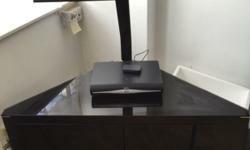 ALSO SELLINMG A PANASONIC TV AND SONY DVD PLAYER SEPERATLEY. 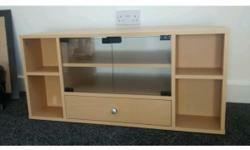 Beech tv stand with glass doors. As new condition.